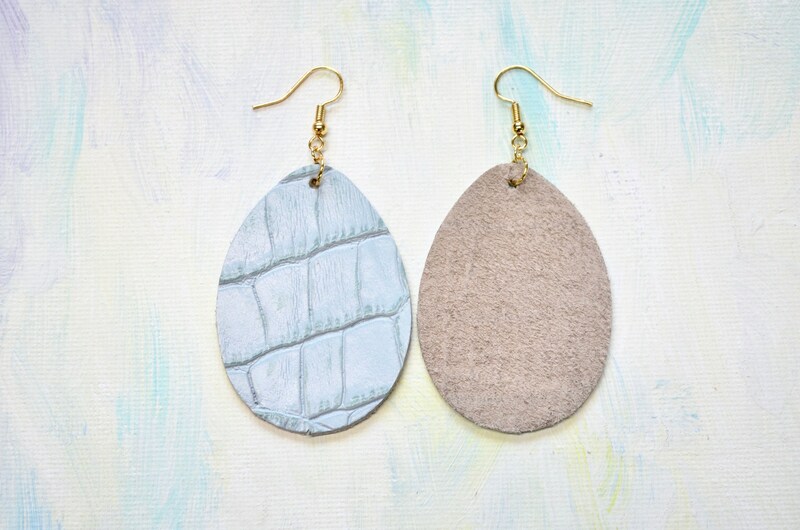 Light Turquoise Textured Teardrop Earrings. Choose from two sizes and either gold or silver finish nickel free hardware. Genuine Leather. 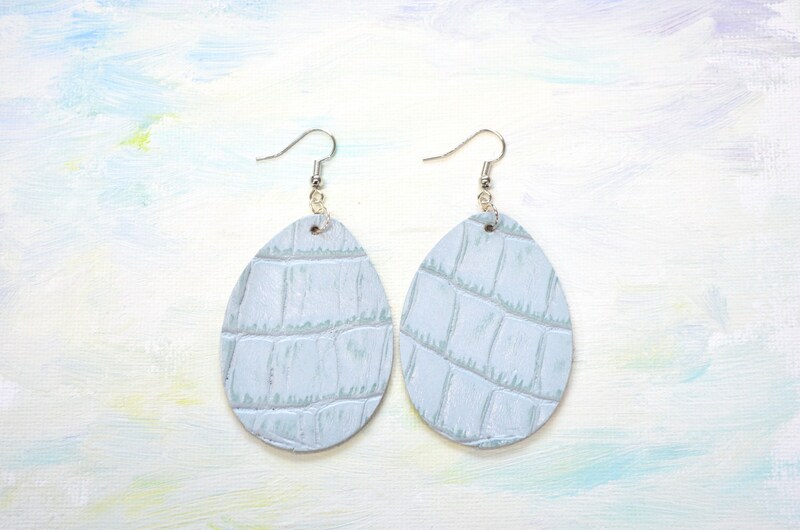 Thick and yet feather-light, these fashionable earrings are a perfect finishing touch for any ensemble! 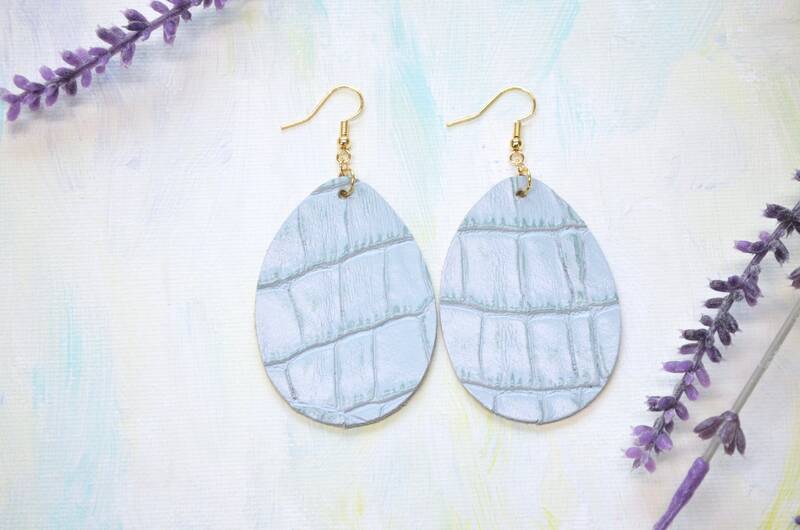 Each earring is handcrafted using soft, genuine textured leather dyed in a wonderful light turquoise blue. The earwires are gold or silver dipped stainless steel and are nickel free. We treat all of our jewelry hardware with Jewelry Shield to shield sensitive skin from metallic irritation. We use only the highest quality leathers which we source from a local supplier. Our supplier sources their selection from tanneries in the USA, the UK, Spain and Italy. 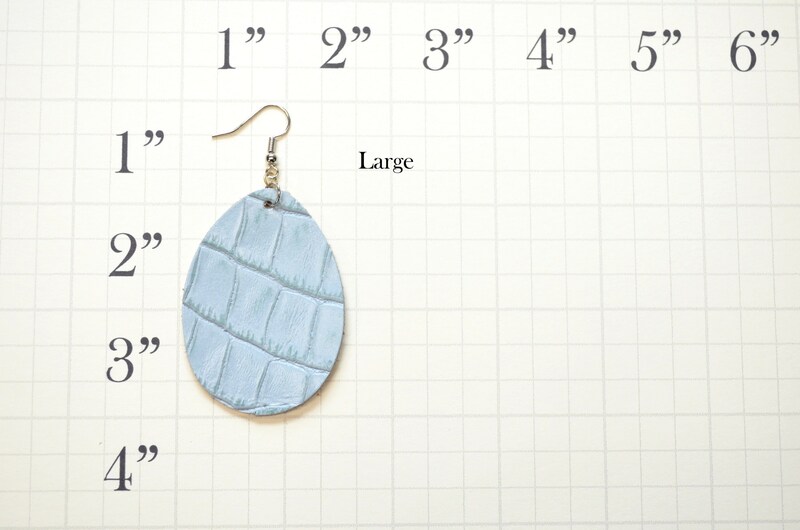 Each Large earring is 2" long (3" including the ear-wires) and 1.5" across. 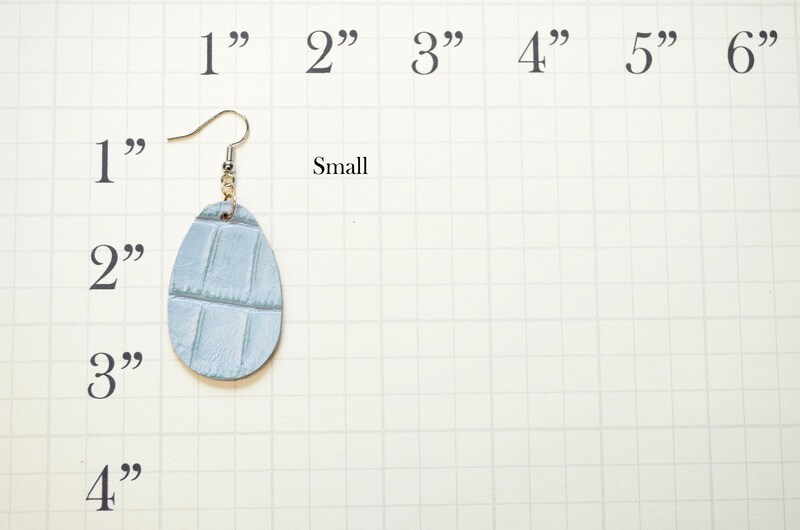 Each Small earring is 1 5/8" long (2 1/2" including the ear-wires) and 1" across. 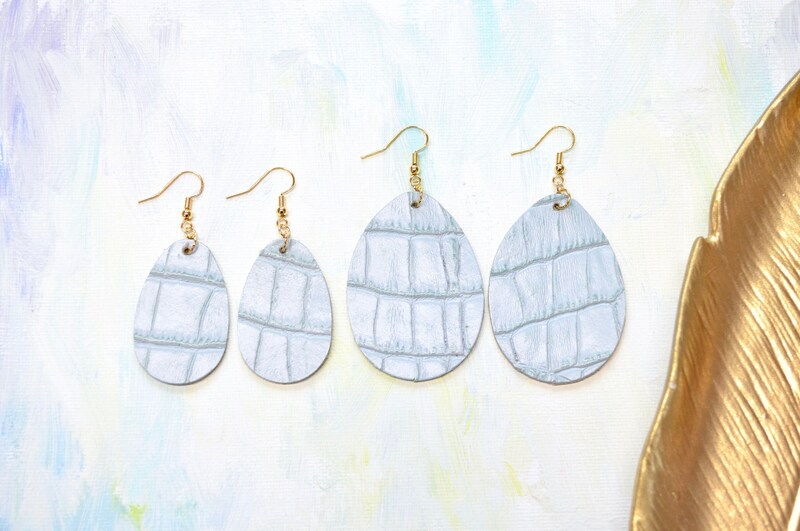 The earrings come packaged ready to gift (or keep!). We have designed these earrings to be suitable for adding essential oils to your lifestyle. Add a drop (or more!) of your favorite scents to the back of the earrings and enjoy the fragrance throughout the day. - To use as diffuser earrings: Place a drop of your favorite oil(s) on the back of the earring. The leather is a natural diffuser and will naturally diffuse the essential oils throughout the day. Note: the oil might darken the leather where applied. For hygienic reasons, this item can NOT be returned. If you are experiencing difficulties with earrings you ordered from us, please contact us and we will work to find a solution. This item is created in our smoke free, pet free, peanut free studio.